Get your Pilot Certificates and Ratings with us. We will customize your training to fit your needs. We have 10 hour blocks of time available to purchase. Additionally, we also provide additional training in the form of Flight Reviews, Instrument Proficiency Checks, Complex Endorsement Training, and Cirrus Transition Training. 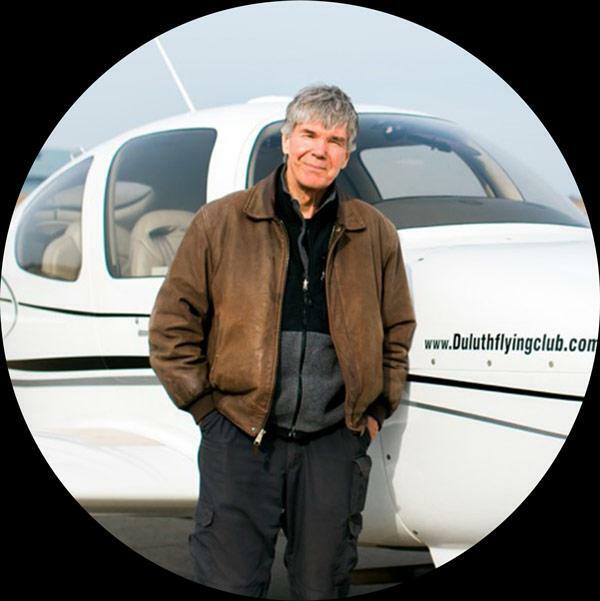 A Discovery Flight is an introduction to flight lessons. We provide 30 minute, 60 minute, or any length of time you desire to discover the joys of flight. Gift Certificates are available. Price determined by proficiency of pilot and current fuel and rental rates. Our simulator enables the safe and effective practice of procedures that can’t be done in the aircraft, and also improves pilot skills by developing proficiency through the integration of flight lessons. We have FAA part 141 training courses in ‘Private Pilot’ and ‘Instrument Rating’. Our instructors can teach in your plane or ours. If you own a plane but need refresher, recurrent, or additional training, our instructors can help. Total time exceeds 3500 hours. Lis has a FAA Commercial certificate. She is also a Certified Flight Instructor (CFI/CFII) as well as a Cirrus Standardized Instructor Pilot. Lis is well known in the Duluth/Superior area and beyond. 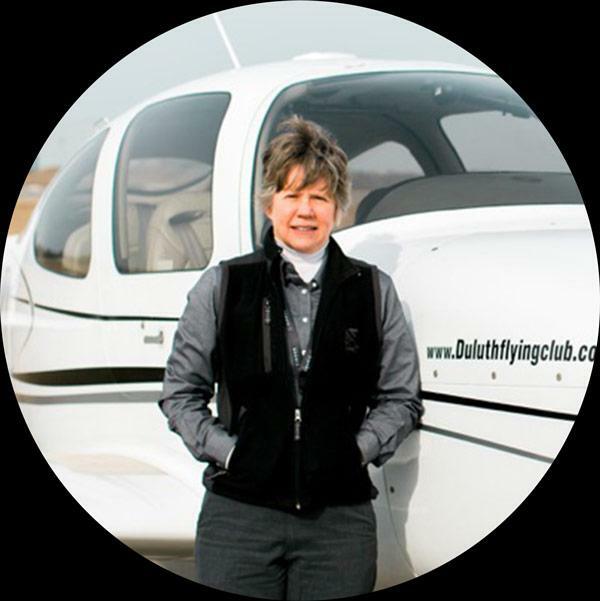 She specializes in advanced pilot instruction; instrument rating, commercial certificate, CFI certificate and Cirrus transitions. Total time exceeds 600 hours. Total time exceeds 300 hours. 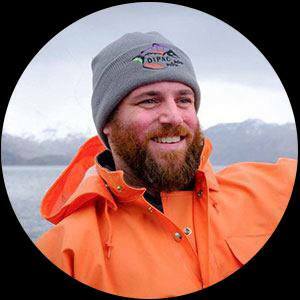 Kevin has a Bachelor of Science in Aviation Management from Southern Illinois University plus an AAS in Aviation flight also from Southern Illinois University. Kevin has been employed in airport operations and management since 2010. 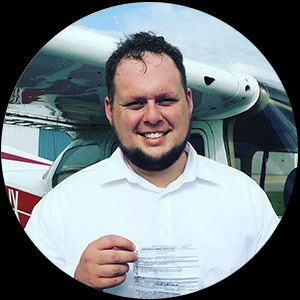 He holds a FAA Commercial Certificate and a Certified Flight Instructor Certificate (CFI) and is currently pursuing a Certified Flight Instructor-Instrument (CFII) rating. Mark has been a pilot since 1975. He is a retired US Marine Officer and a retired Captain, Duluth Fire Department. He has been interested in aviation since his days as an enlisted crewmember on aircraft in Vietnam. He currently is a Command Pilot in the Civil Air Patrol and an Aircraft Commander in the US Coast Guard Auxiliary Air. He holds an FAA Commercial Certificate and is licensed as a CFI, CFII and MEI and was initially certified as a flight instructor in 1988. 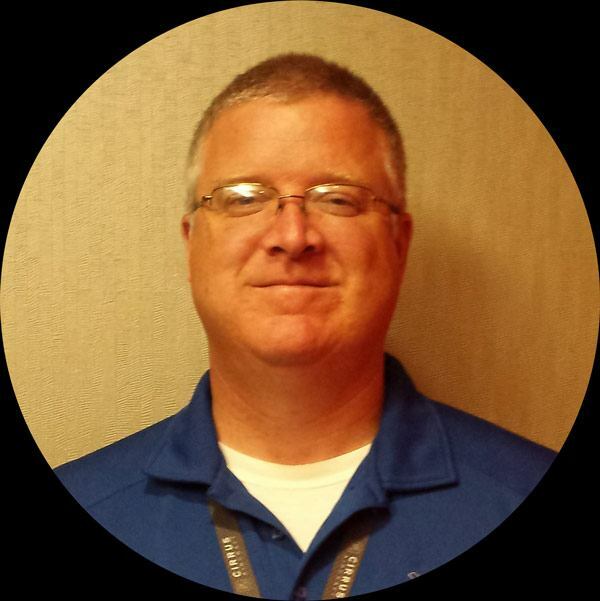 Mark has been very active during the past four years instructing in various aircraft in the Duluth Superior area and has prepared numerous students as Private, Instrument, Commercial, and Certified Flight Instructor pilots in single and multi-engine aircraft. Total Time Exceeds 1500 Hours. Melissa is a graduate of Embry Riddle Aeronautical University with a bachelor of Science degree in Aeronautical Science. 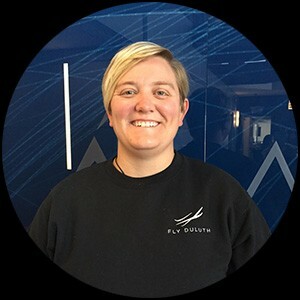 She holds a FAA Commercial Certificate and Flight Instructor Certificate with instrument rating (CFI/CFII), as well as Multi-Engine Instructor (CFI/CFII/MEI). She served over 10 years in the United States Air Force as an enlisted munitions loader. 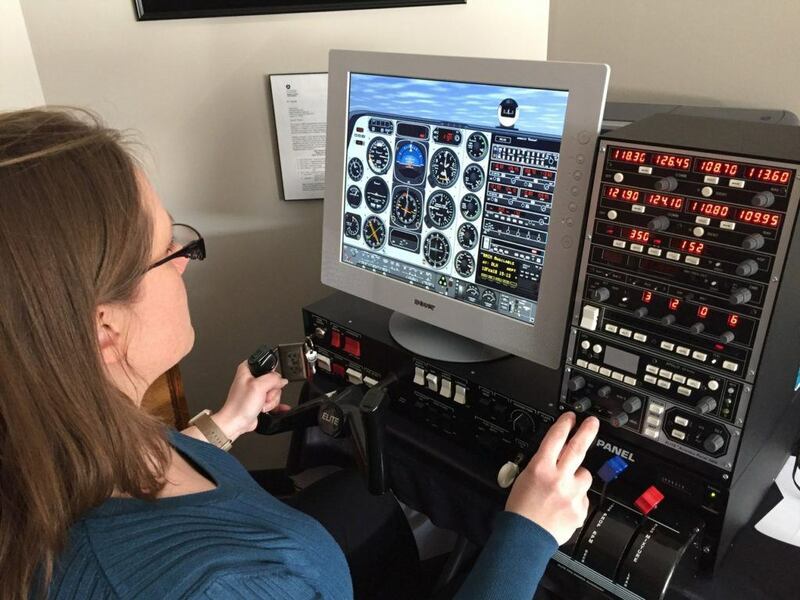 Melissa has prepared numerous students as Private, Instrument, and Commercial pilots in single engine and multi-engine aircraft. Kevin has an FAA Commercial certificate. He is also a Certified Flight Instructor (CFI/CFII) and Multi-Engine Instructor as well as a Cirrus Standardized Instructor Pilot. He is currently employed by Cirrus Aircraft as Director of Health and Safety. He possesses a B.S. from Mankato State University in Biology and English. From 2010-2013 Kevin was the Interim Director for Lake Superior College’s Center for Advanced Aviation. Fill out the contact info below and one of our instructors will reach out to you for a one-on-one conversation.